Working together to provide a valued carpentry and joinery service of unrivalled quality and commitment, one that our customers can rely on. We have established ourselves by supplying the best sub-contractor carpenters to the UK’s major house builders across the south-east. Our business is built on our commitment to delivering high quality and the most reliable cost effective on-site carpentry solutions. From the first timber frame drop to the last set of finals, we are with you every step of the way. Multi-phased projects are complicated, but AJC’s acute understanding of this helps us solve problems and remove potential barriers from our client’s workflow and site supervision. 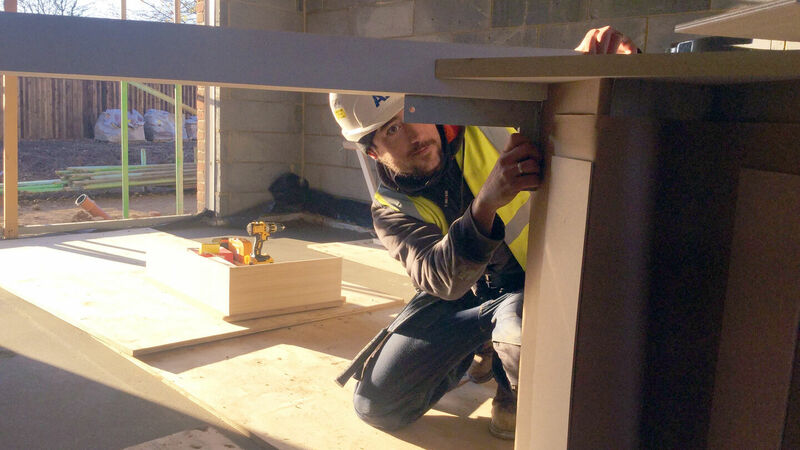 Our vast experience of working with other trades makes sure each project is problem free both on and off-site. 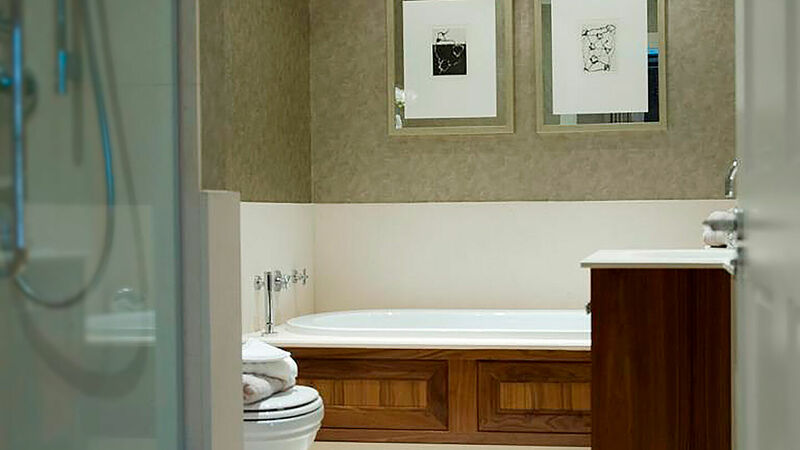 We pride ourselves on our capability to work with all trades to deliver unrivalled craftsmanship. Our knowledge of all aspects of the build process and client communication ensures we are always on time and within budget. Not only are all the physical build on-site aspects covered, but our dedication to off-site services is just as important. Health & Safety, Contract management, Cost control and our Customer services team ensures our clients have the best possible experience throughout the process. Read more about each of our services below. Estimating and Quotations – Our Commercial approach is what sets us apart, leading our industry and setting the benchmark. It starts at the Tender stage; our Estimating team have access to the latest management tools and software (including Construct for Sage 50, EValuate and Dimtronics). We know how important maintaining fixed costs are during the construction phase for our clients, because of this we always provide a fully detailed breakdown and quotation to ensure our costs are fixed for the duration of the build and offer cost certainty. 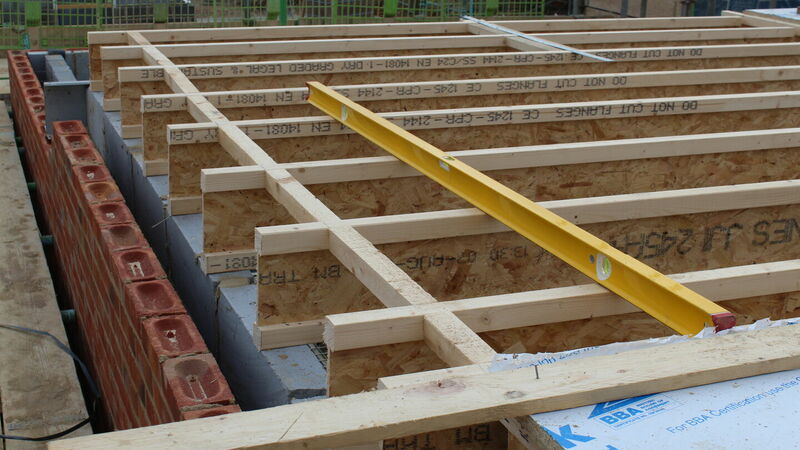 Supervision – Once a build is out of the ground, carpentry is one of the most involved aspects of any build. As a result of being on-site longer than most other trades, if affords us the opportunity to provide high-level on-site supervision (black hats) across the whole site, something few competitors have the structure or capability to do. 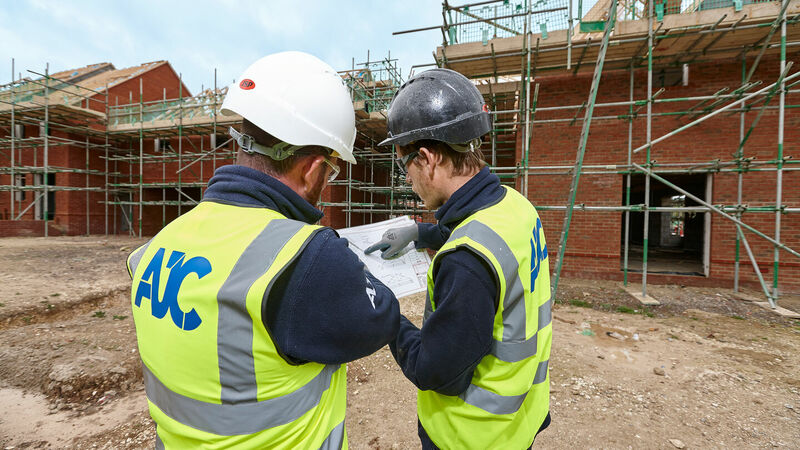 We utilise a clear chain of command, supplying dedicated on-site Foremen who report to a designated Contracts Manager and in turn to Head of Construction. Quality Control – As quality is paramount to everything we do, we carry out regular inspections to ensure that completed work is of the highest standard and meets our clients expectations. Health & safety – AJC regards health & safety as a management priority and an integral part of our business, our aim is to ensure that everyone who comes into contact with our activities remains safe. Find out more about our Health & Safety approach. 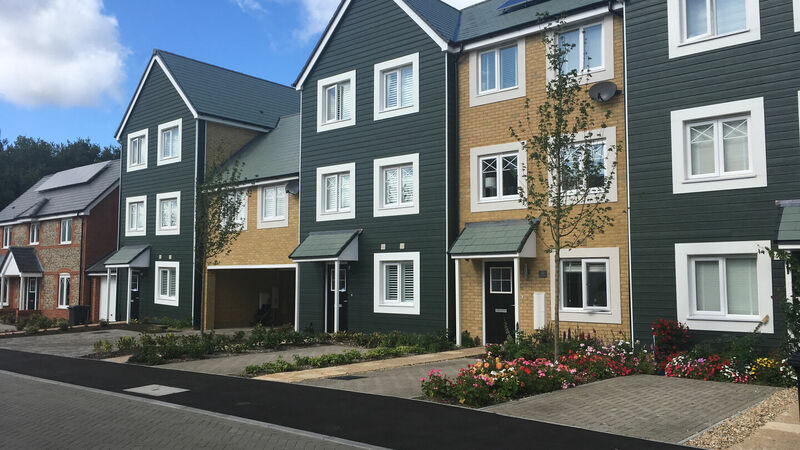 AJC’s vast experience in timber frames covers traditional style houses to multi-storey apartment blocks; from single plot developments to 300+ plot developments. 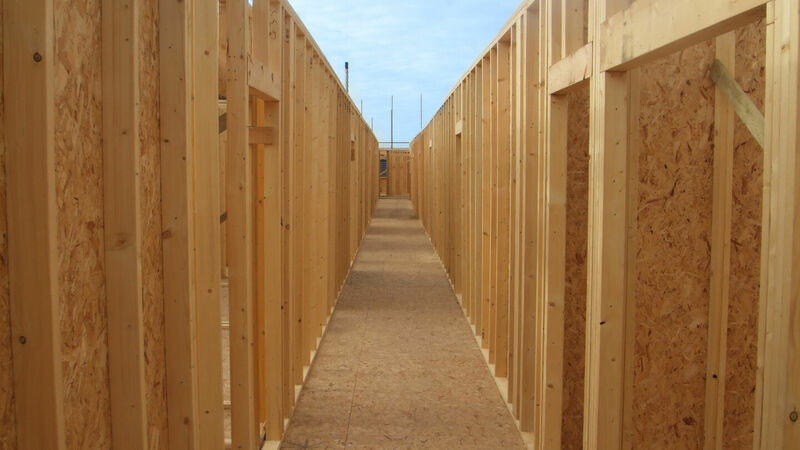 Due to the speed, accuracy and environmental benefits, timber frame wall and floor cassettes for new builds is an ever-increasing requirement for developers. If you would like to find out more information about AJC's Timber Frame service, please click here. We work with a number of different joist and flooring systems, enabling us to provide the perfect solution for any build. 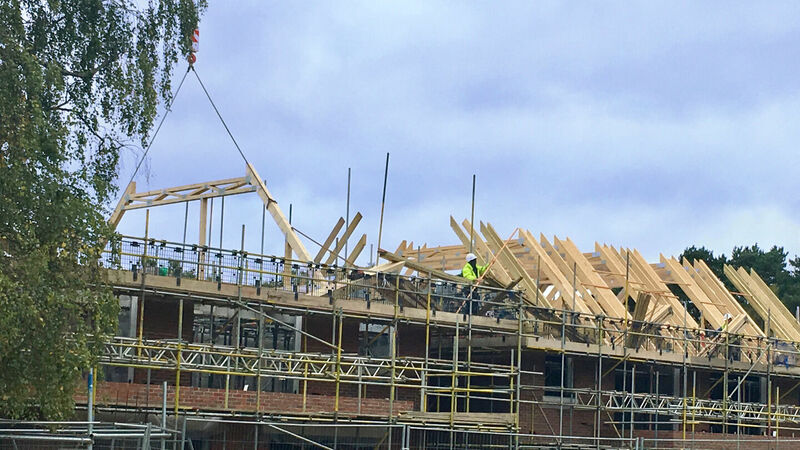 From traditional timber joists for refurbishments or hi-spec houses to metal web and TJI Joists & Flooring for high volume new builds, including all aspects of joist and flooring for timber frame developments whether it be floor cassettes or loose installation. No matter what the complexity of roof design or the volume of roofs required, AJC are vastly capable of providing roofing solutions that are economical in both cost and speed. The majority of large new build developments are well suited for pre-formed trussed roofs, but we also offer bespoke hand cut timber roofs. AJC have extensive experience with both and are able to supply cranes on a full contract lift basis. Regardless of the external look or features required, AJC are accustomed to working with a wide range of cladding styles. To find more information about our second fix carpentry services, please click here. In order to maintain continuity of programme, AJC remove the need for developers to organise any cranes. 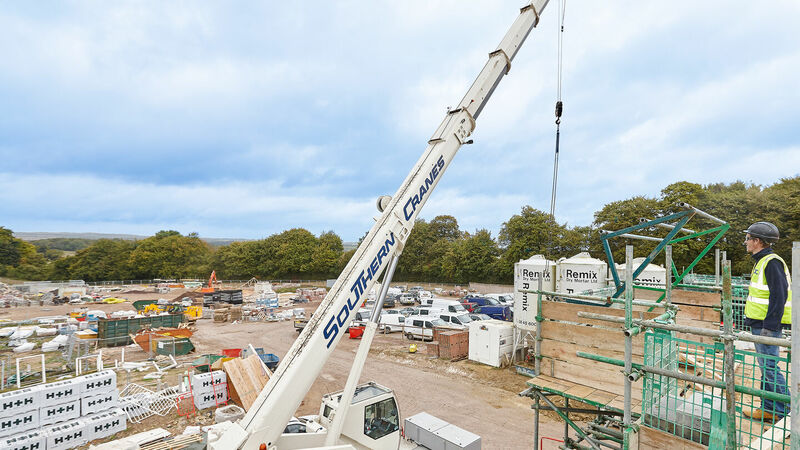 We outsource all our cranes as full contract lifts from reputable plant hire companies, to ensure all mechanical lifting is carried out safely and in accordance with correct legislation. 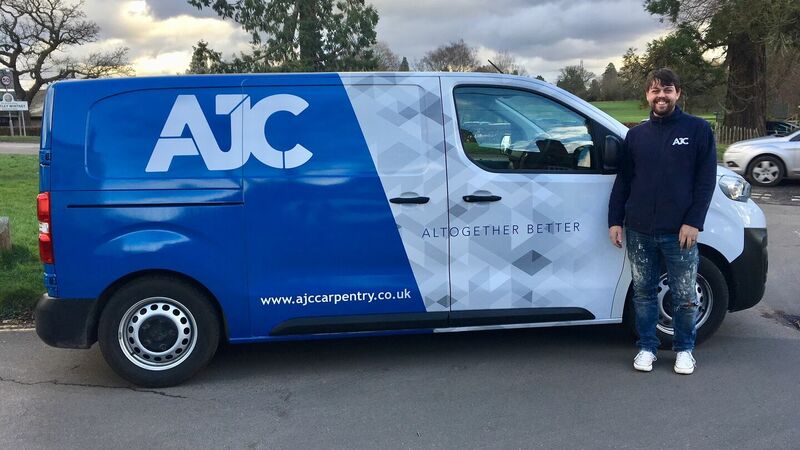 AJC provide their carpenters with all necessary fixings and adhesives, this is to ensure that our carpenters only use the right fixings for the right job. We are happy to provide a quotation with the availability to deliver all internal ironmongery for your developments. If you would like to find out more information about AJC's Supply Items, please click here. We understand how important your customers are to you, they are our customers too. Because of this we will happily organise to carry out all your carpentry Customer Care appointments from booking the appointment, through to sending a dedicated Maintenance Engineer to attend the property and resolve the issue. "Just a quick note to say how pleased I have been with the work carried out by AJC Carpentry to address some of the snags at our house. It has been easy to contact you and arrange a booking at a convenient time. The carpenter, Paul, who has attended twice took a very proactive approach to the work required and the quality was very good. He also phoned in advance to confirm his early arrival time. So thanks to you & the team. We are continually looking for the best talent in the industry, if that's you take a look at our careers section.